Mediation Mediation: Nana has significant mediation experience in Greece and abroad. 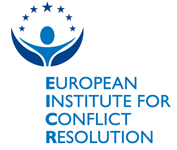 She is an accredited mediators’ trainer (Toolkit Company) and trains mediators for AKKED PROMITHEAS (Athens) in cooperation with ADR CENTER (Italy). Since 2013, she has trained many mediators in Athens, Thessaloniki, Cyprus, UK and India. Professional Career: Nana is a lawyer with the Athens Bar Association. She is a family and workplace mediator (ADR Group, UK) and an internationally accredited mediation advocate (IMAP, UK). 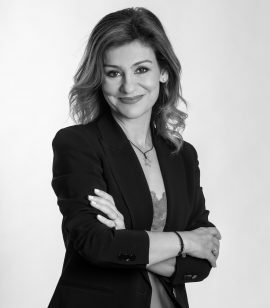 She is trained in advanced mediation (ΜΑΤΑ, UK), family mediation (KEDIP – Jamie Walker), with special training from Harvard Law School (Program on Negotiation – Mediation). She is a founding member of the Hellenic Mediation Institute, a non profit organization, and regularly participates in mediation fora, congresses and conferences in Greece and abroad.